United States Secretary of State Rex Tillerson on 27 October morning urged Myanmar's army chief General Min Aung Hlaing to end the violence in the Rakhine state and allow the safe return of the Rohingya Muslims displaced during the crisis. 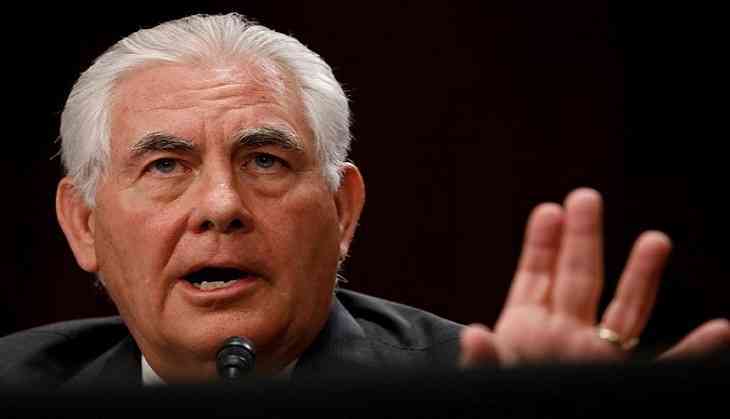 In a telephonic conversation with the Burmese military leader, Tillerson expressed, "There is a growing concern about the continuing humanitarian crisis and reported atrocities in the Rakhine state," the U.S. State Department spokeswoman Heather Nauert said in a statement. "The secretary urged Burma's security forces to support the government in ending the violence in the Rakhine state and allowing the safe return home of those displaced during this crisis, especially the large numbers of the ethnic Rohingyas," the statement added. "At the same time, he urged the military to facilitate humanitarian aid for displaced people in the affected areas, allow media access, and cooperate with the United Nations to ensure a thorough, independent investigation into all allegations of human rights abuses and violations and to ensure accountability," the statement added. The U.S. has announced that it would withdraw the military assistance to Myanmar officers and units operating in the northern Rakhine region of Myanmar. Earlier, Tillerson had said the U.S. holds Myanmar's military leadership "accountable" for the Rohingya refugee crisis. Since August 25, Myanmar's army has launched a military campaign against the Rohingya. "Tillerson also condemned the August 25 deadly attacks by militants on the security forces in the Rakhine state," Nauert added. The United States is considering sanctions against Myanmar for its treatment of the Rohingya Muslims in the restive Rakhine state. In a statement issued earlier, the U.S. State Department said that Washington might use a human rights law to target those involved in the violence, which triggered a massive exodus and humanitarian crisis. "We are exploring accountability mechanisms available under the U.S. law, including Global Magnitsky targetted sanctions," said Nauert in a statement on Monday. More than 5,00,000 Rohingyas have fled the country to walk by foot or sail in rickety boats to arrive in the neighbouring Bangladesh.